(Click here for more information on how you can sign a petition to support this initiative and for updates on our progress). As a Member, stand-up comedians will directly benefit from actions taken by The Association. We are committed to facilitating greater access for Canadian comics to share their craft and improve their Canadian perspective on the world both domestically and internationally. If you would like to get involved with any of the current initiatives or Committees, or if you have an idea for an initiative or Committee, please contact us at info@canadianstandup.ca. Just Me Art’ And Conseil is an agency managed by Sonia Dari whose goal is to plan different sort of artistic events thanks to its large range of artists: comedians, singers, magicians entertainers, dancers and hypnotists. Based out of France, the Just Me Art’ And Conseil Agency specializes in artistic development and event management focusing on communication, marketing and talent development at all levels. Representing a diverse range of multi-disciplinary artists, Just Me Art’And Conseil anchors its uniqueness in the French landscape thanks to its originality, exclusivity and prestige. 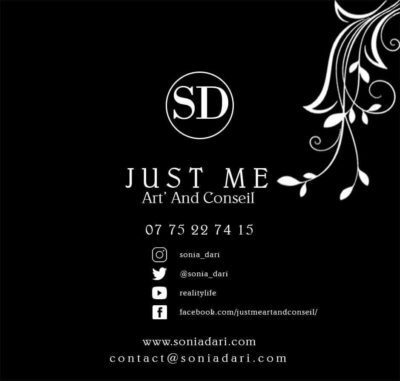 Sonia Dari, founder of Just Me Art’And Conseil and Dari Show Comedy, is a media professional, animator, columnist and producer working in the events and entertainment domain for more over 20 years. Her imagination, creativity, ambition and motivation is what moves this organization.